On Sunday, we took the bullet train back from Seville to Madrid. The travel was very pleasant. We sat next to a family from northern Spain - father, mother, infant, and nanny. Lynne exercized her Spanish for most of the trip, chatting with the family. 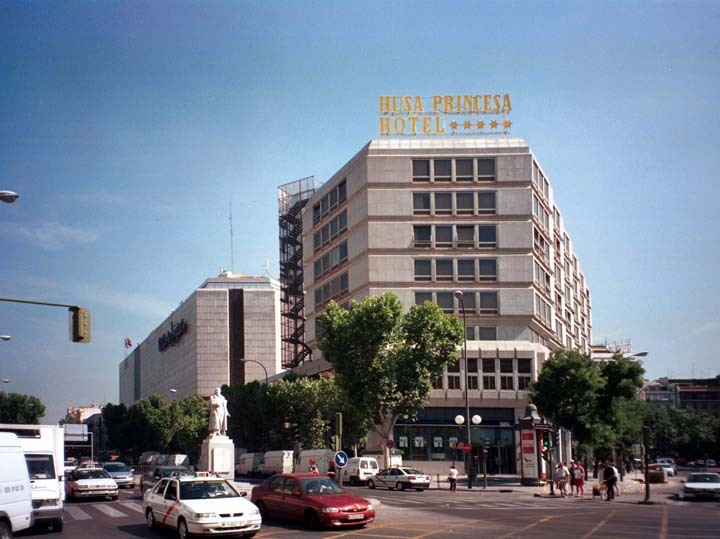 When we arrived in Madrid, we took the subway to our hotel, the Husa Princesa. It is west of the Puerta del Sol, the center of the city. From the Husa Princesa it was a convenient walk or subway ride to our destinations each day. In the Plaza del Sol we found an Internet Cafe, where we logged on to HotMail and picked up a number of messages from our daughter Lucy. She was also in Europe, with her cousins Will and Sarah and their Uncle Gordon. We had not seen her for about two weeks. We emailed her back and over the next three days exchanged messages several times. We found several Internet Cafes in Madrid, all of them inexpensive. Our Hotel, the Husa Princesa. 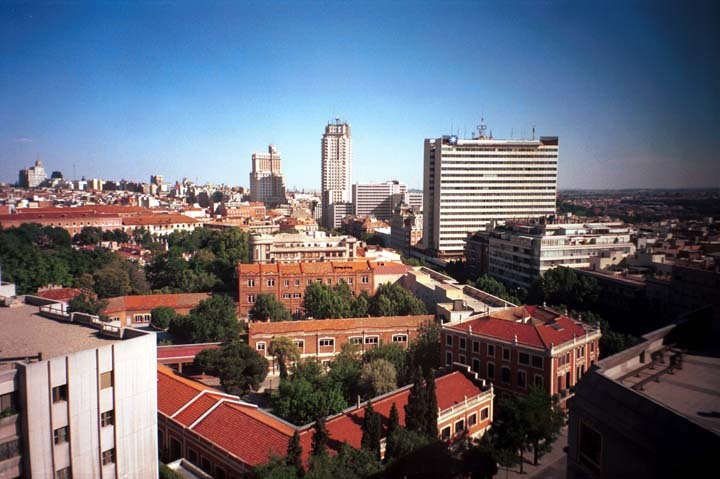 Note El Corte Inglés, behind the hotel to the left. This is the largest department store chain in Spain, and we went there daily for one thing or another. This is one of the views from our hotel room. 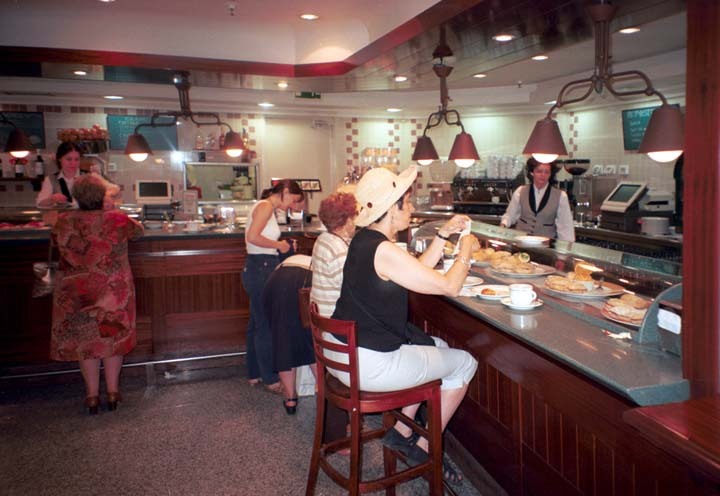 Each morning we left the hotel and went to the snack bar in the basement of El Corte Inglés. We would have thick Spanish hot chocolate and churros. After our snack, we would pick up a bottle of water and snacks from the grocery store, also in the basement of El Corte Inglés.